Is it molding or moulding? This is one of those words that has different spellings in American English and British English, much like colour/color and soccer/football. For this particular word, I prefer the British version because the American version makes me think of that black stuff around the edge of a dirty shower. I don’t like that stuff. As I’ve scraped the way around my house, I’ve pretty much neglected the moulding around the window boxes because of the decorative profile of the wood. I’ve done this mainly because my scraper blade is flat, not decorative. Scraping a round object with a flat blade presents problems that can be hard to remedy/repair. However, now that I’m on the front of the house, I want to remove the paint from every surface so that when people see it up close, it looks brand new and fresh. 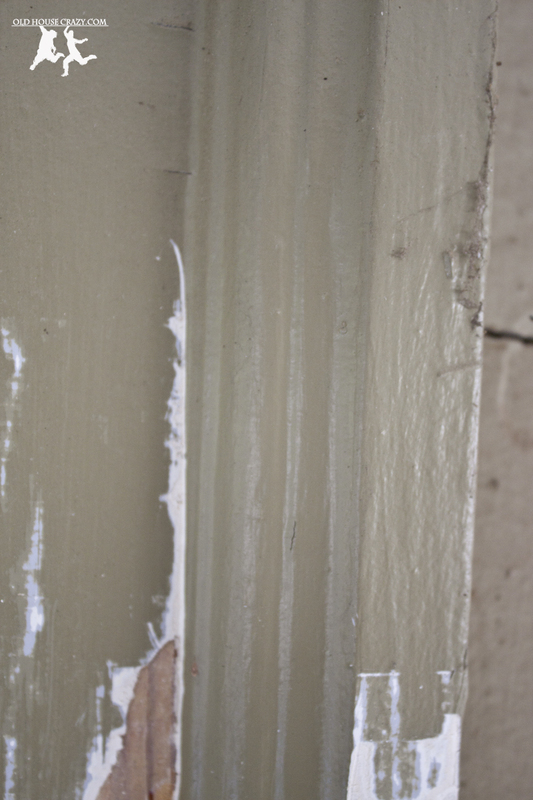 The many layers of paint have made this multi-layered moulding look very simple. Scraping the paint off of this piece presents some problems. My primary concern when scraping this moulding is to preserve its shape without gouging the wood with my scraper blade. The blade is very sharp and can easily do more harm than good. To properly scrape these details, I had to remove some of the paint from the convex section of the moulding until I could get the edge of the blade into a 90 degree corner in the design. Once I had access to this corner, I was able to remove the paint pretty quickly. If you’re thinking of doing something similar to what I’ve done here, I suggest you practice your scraping skills for a while before you attack the moulding. 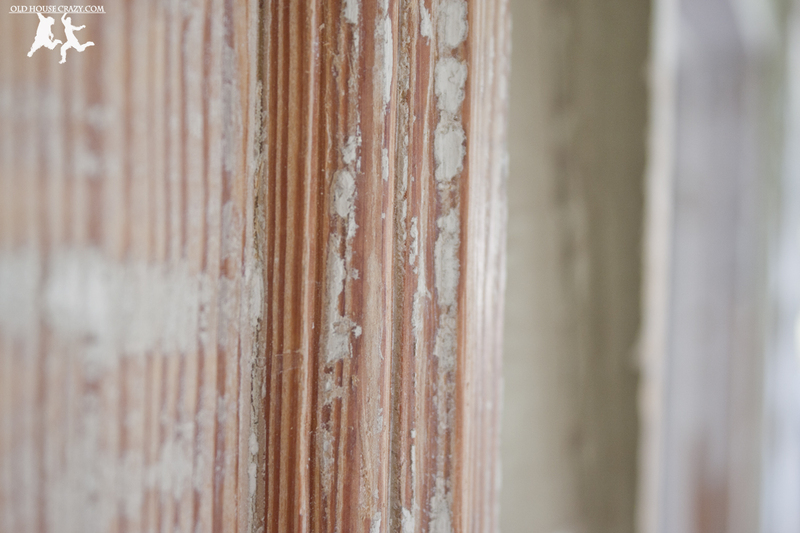 The scraper can get out of control really easily when you’re applying enough force to remove many layers of old paint. The other option, which I haven’t tried yet, is to purchase a set of decorative edge scrapers from a hardware store. I don’t think the big box stores carry them, but you can purchase them online or at a local woodworking store. Here’s a link to some from Highland Woodworking in Atlanta. A third option is to just remove the old moulding and replace it with some new stuff. I don’t want to do this because the moulding, like the siding on our home, is made of heart pine that’s almost a hundred years old. I feel like replacing boards that aren’t rotten would really take away from the character of our old home. 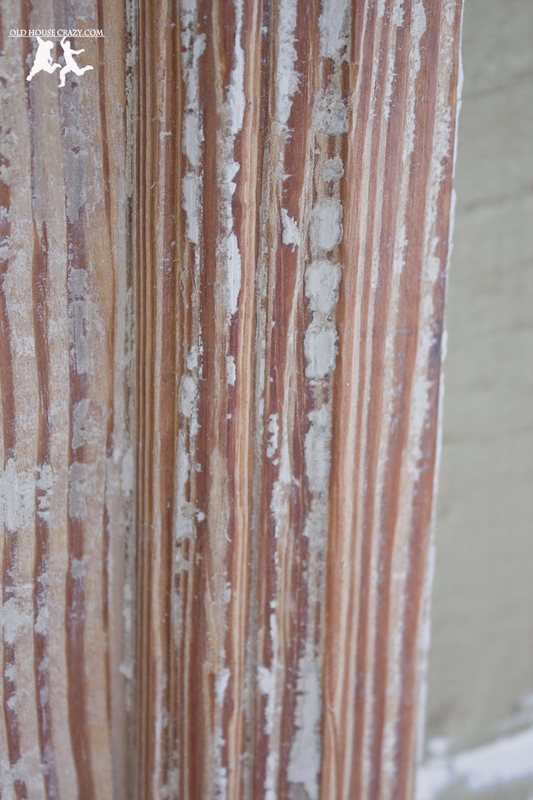 This entry was posted in DIY, Don't Hire a Professional, Exterior Maintenance, Heart Pine, House Repairs, Painting, Tools and Techniques and tagged DIY, diy project, don't hire a professional, heart pine, painting, scraping, Scraping Paint, tools and techniques. Bookmark the permalink. Several people suggested using an angle grinder and a wire brush. We used that setup to remove paint from the foundation, but didn’t want to damage the wood. I hadn’t seen the sanding pads. Good find and thanks for the tip.